Peggy Fox explores dual careers in fine art and commercial photography. She combines these disciplines to develop her personal images while exploring natural, literal, political, perceived and imagined worlds. I first exhibited my work at The Baltimore Museum of Art. I called the museum and asked if someone would give me a crit, and they gave me a one woman show. The hook was set! “Lost in the Cosmos” is a 200’ fantasy about travel, space, and cows jumping over the moon, in porcelain enamel on steel, for the walls of the Hopkins Hospital Metro, commissioned by the Maryland Transit Authority. It was a 10 year project, from 1988 to 1998. The Vermont Studio Center awarded me a fellowship in 2010.The Atlantic Gallery in New York City has shown my work in two one person shows. I have been awarded two Maryland Arts Council Grants and in 2012 my print, “Tachyons” was honored for IMPACT, MAP’s first of a series of commissioned prints. I mostly exhibit my work on the east coast. I also am available for commisioned work. I have a continuing interest in exploring the poetics of physics and metaphysics .This series,"Tendencies to Exist" resulted in both prints and mixed media work. Images from this series have been exhibited in New York, Baltimore, Washington, Dc and New Jersey. Assignment photography, editorial as well as colateral work, has opened doors to different worlds. A privilege. Clients have included The Johns Hopkins Hospital and Kennedy Kreeger Institute, Goucher College, T.Rowe Price and AT&T to name a few. Documentary projects, perhaps are my favorites. They let me choose how I want to photograph the people and places, and give me editorial freedom. During "The Equitable Photographic Survey of Maryland", I photographed the watermen, tobacco farmers and Amish of St Mary's County, as well as Fells Point, an historic Baltimore neighborhood undergoing renovation. “Minding our Own Business, A History of North Brentwood’s Entrepreneurs", in Maryland, was about an early incorporated black town and the people who ran it's schools and businesses. It was a view into black history; how the town worked, then and now Lately I have been photographing for The Baltimore Tree Trust, planting 500 trees in inner city Baltimore in a pilot program for Trees For Public Health. 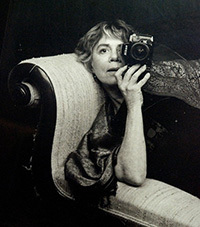 In 1998 I collaborated with writer and folklorist Alison Kahn on Patapsco: Life Along Maryland's Historic River Valley, a documentary portrait of four towns and their citizens, revealed through photographs, first-person narratives, and essays, published by the Center For American Places at Columbia College Chicago. Robert Coles says about my work in his introduction to Patapsco, ”With an intimate eye she captures the essence of her subjects in their work or personal environments." Currently, I am working with ariel and patterned landscapes, abstracted, manipulated and layered on aluminum. I also am considering how to use my extensive travel photography in some transformative way.